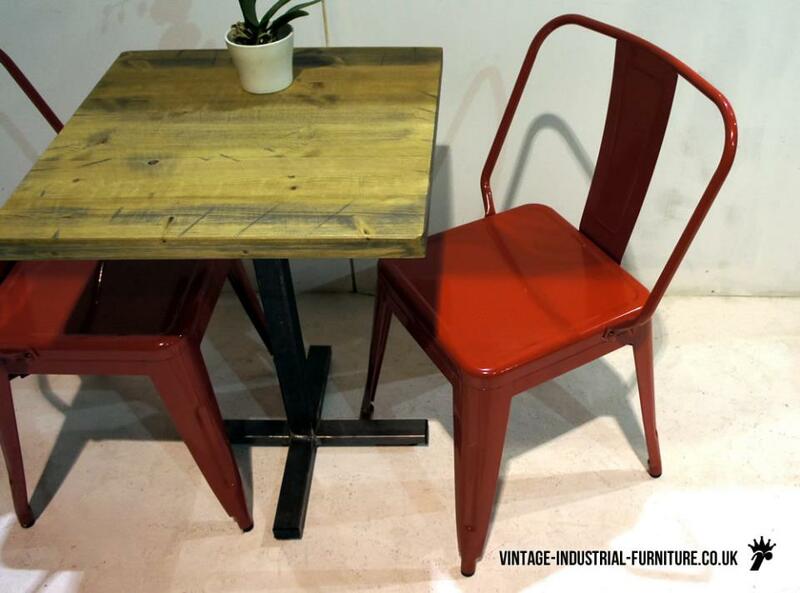 A vintage metal chair to compliment our tables, available in powder coated red, black and white. 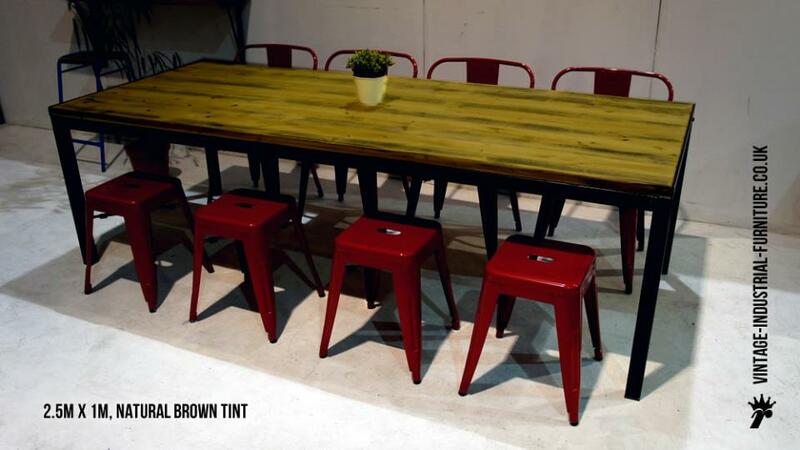 We can also supply these in a distressed painted finish in a variety of colours. Matching metal low stools, high stools and high back stools can also be supplied. The price includes delivery to most mainland UK places. Please specify your chosen colour in the checkout message box.